ABC Television. 1995. Producers: Jack King, Brian Nicholls. CD (ST) ABC. 4797842/4. 1995. Music Composed, Produced and Orchestrated by Art Phillips. Published by MCA Music / Chris Gilbey Pty. Ltd. 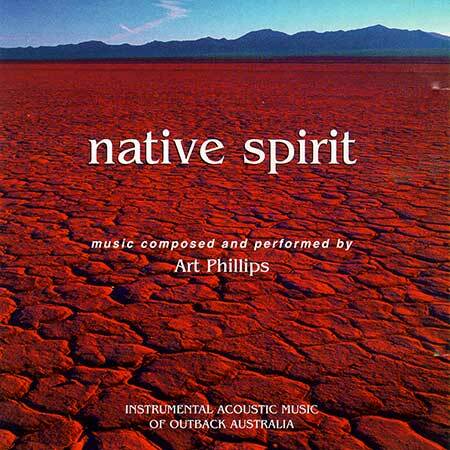 Recorded and mixed at Art Phillips Music & Productions, Sydney, Australia, 1995. Mixed by Adrian Bolland for Spatial Music. Mastered by Rick O'Neil for Turtlerock Productions. Acoustic Guitars, Mandolins, Banjo, Electric Guitars, Slide Guitars, Keyboards, Midi-sequencing and Drum programming - Art Phillips. Harmonica - Michael Lynch. 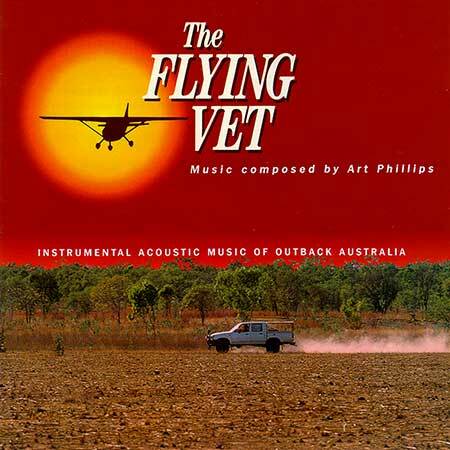 Theme From The Flying Vet. (2:03). CD (OP) ABC. 7243 8 54200 2 3. 1995. "NATIVE SPIRIT". (ABC Soundscapes Series - The Tranquility Series - re-issue of ABC. 4797842/4. 1995. "THE FLYING VET").